You're Invited to the Honors Awards Ceremony! 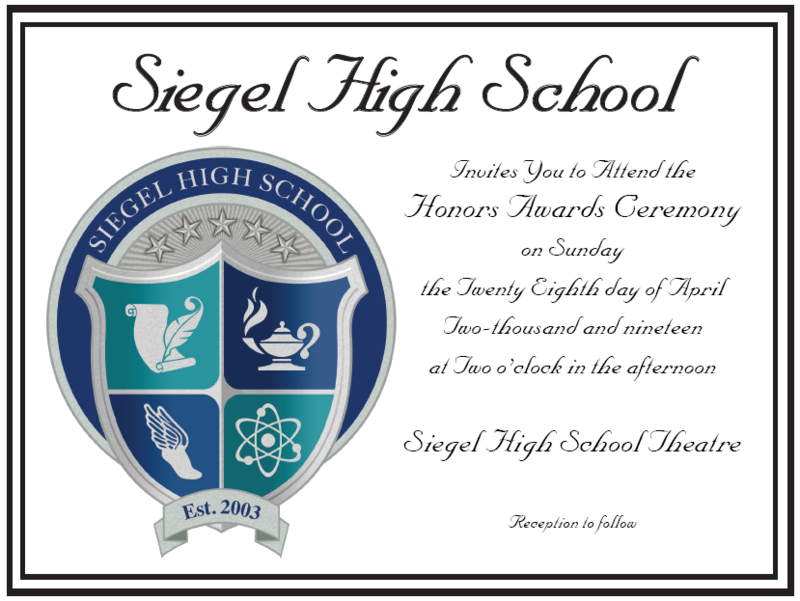 We will recognize students with outstanding achievements at the Siegel High School Honors Awards Ceremony on Sunday, April 28 at 2:00 PM in the Siegel High Theater. Seniors and Senior Parents: The Senior Information page has been updated on our website. Be sure to click the link above to check it out for the latest info re: graduation! Mr. Bowker Named Siegel High Teacher of the Year! Congratulations to Mr. Joe Bowker who was selected as Siegel's Teacher of the Year for 2018-19! Mr. Bowker is part of our Career and Technical Education department and teaches Health Science classes, including Honors Medical Therapeutics and Honors Anatomy & Physiology.